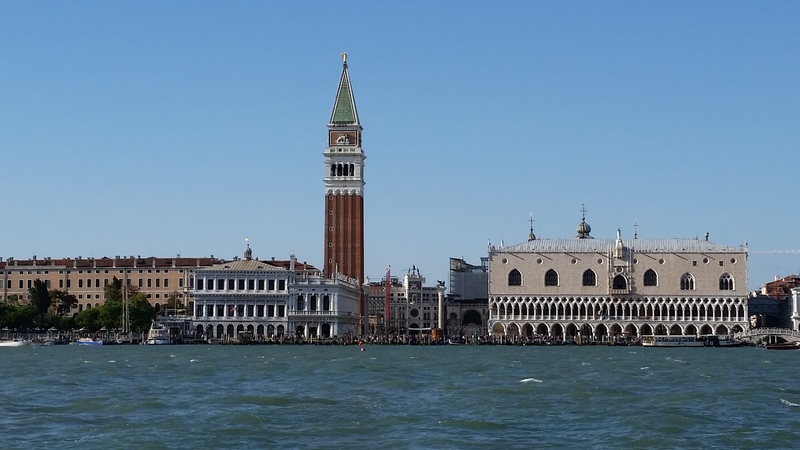 When you visit Venezia you must take time to appreciate the city from the water. It is after all, a city of islands. 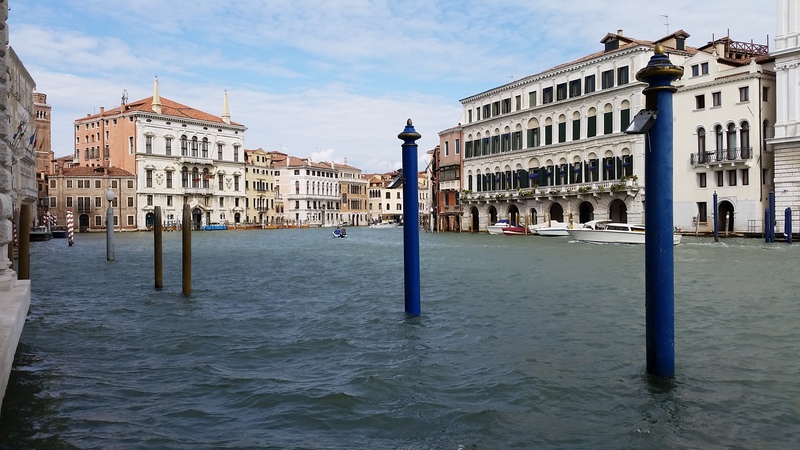 Water water everywhere, it is an integral part of Venezia. 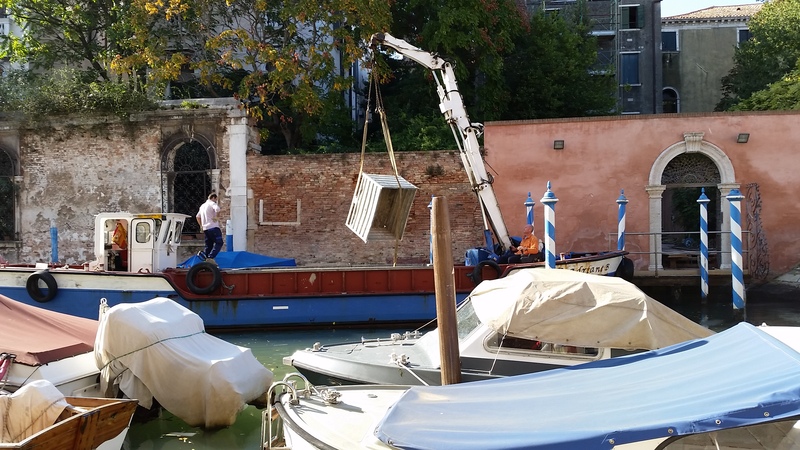 I found the Gondola is not an easy thing to get into or out of. At least not for me, I am too unsteady on my feet, I found it to be quite awkward. Depending on the tide, you might be stepping up or stepping down a foot or more. The one time that I rode in one, there was a guy who stood on the “dock” and held out his hand as assistance to get in, and the same thing for getting back out. 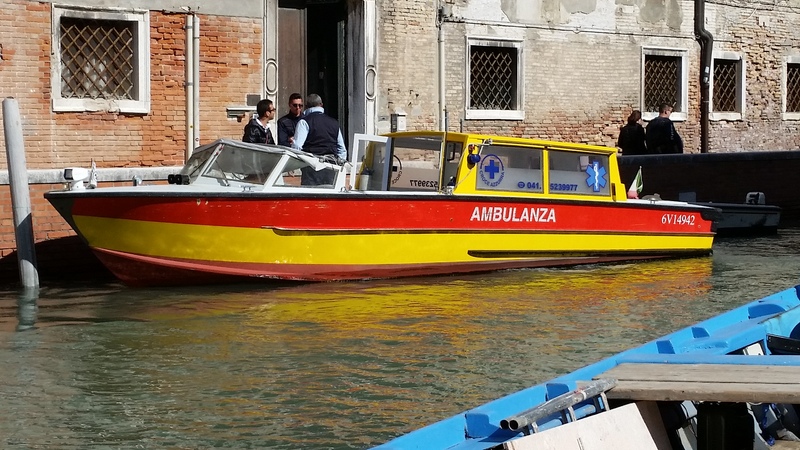 But that was the extent of the help for anyone in our Gondola – or that I saw on others. 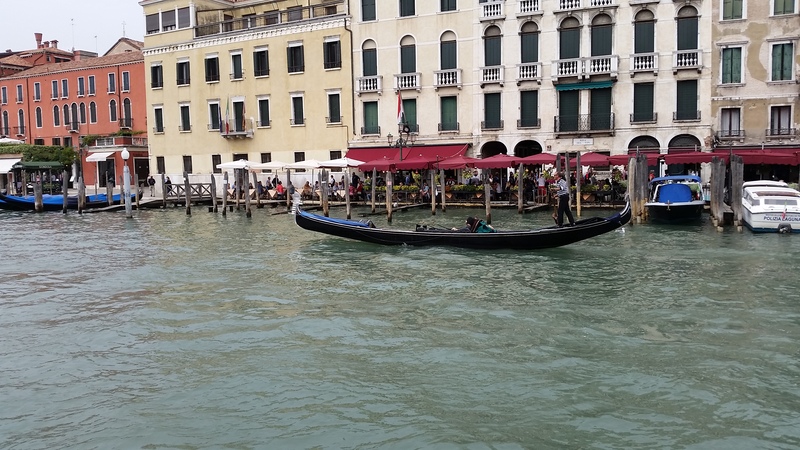 The Gondolier stood in back and verbally directed us where to sit. – but do take a ride at least once. The Vaporettos are a great way to get around if you get tired of walking. They run on schedule and frequently throughout the day. 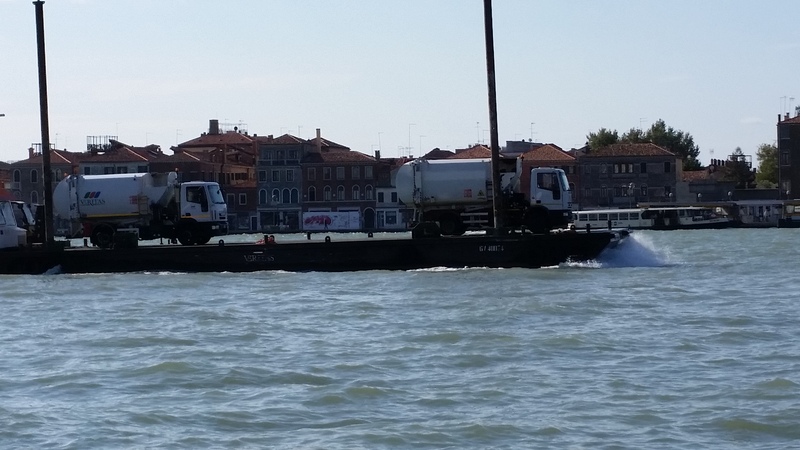 They can be very crowded at times, there is seating in the rear and very front, while the middle of the Vaporetto is standing only. 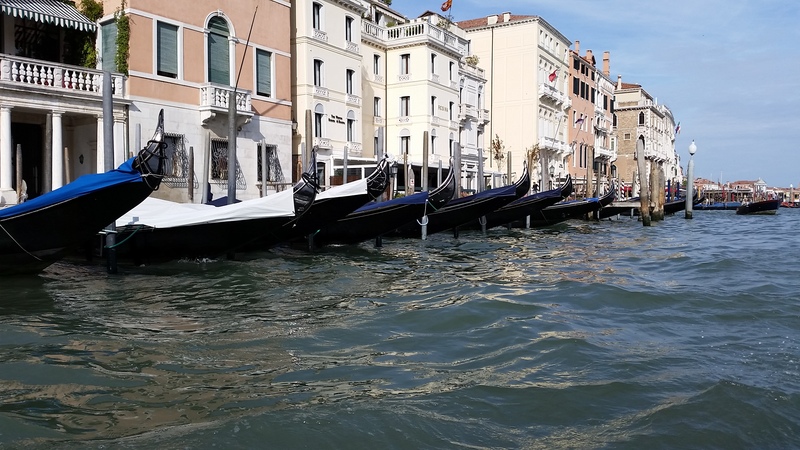 Be sure to hold on if you are standing because the ride can be rough at times, and when they dock at a stop, it is more like a crash landing 🙂 The cost is €7,50 and good for 75 minutes. We purchased a 7 Day pass for 60,00 €. Do be sure to swipe your card before boarding. We saw an awful lot of people who did not, and I confess I didn’t on one trip as I was in a hurry to get on. However, on our last trip to Piazzale Roma there was an ACTV employee/Conductor? checking ticket validation – if you get caught, I understand there is quite a hefty fine – €50 or €60? So, just do it! 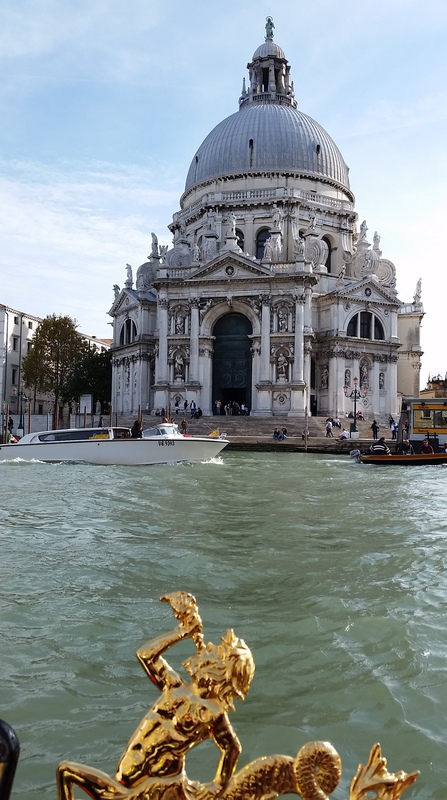 The thing I kept forgetting about the Vaporetto stops was, that despite the fact that they are cement, and appear to be an extension of the Calle, there being an enclosed structure on them, they ARE floating in the water and move around quite a bit. Depending on the tide, wind etc, they can be swaying and bobbing a lot. 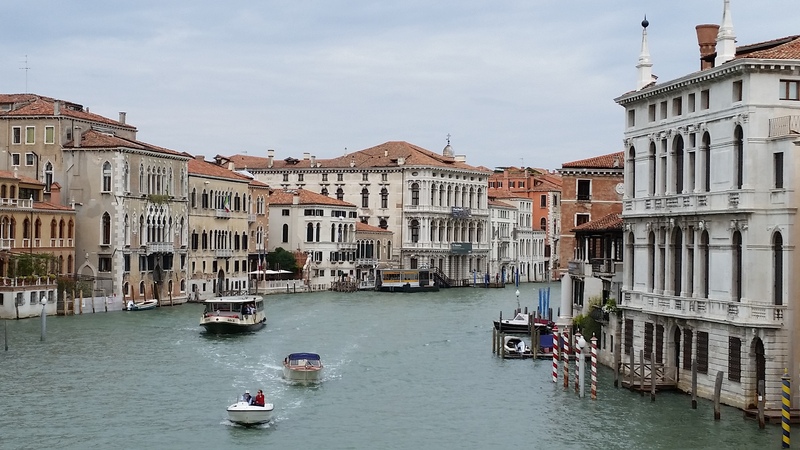 I did notice that Venetians had no trouble whatsoever, even the elderly. I guess they are used to it 🙂 I on the other hand looked like a drunken sailor much of the time. 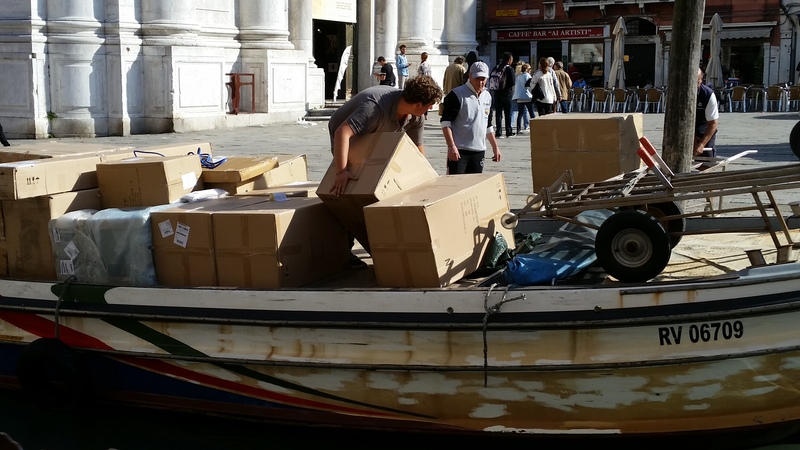 You don’t think about the fact that the only way to get anything into, or out of Venice, the only way to get around, the only means of transporting anything, is by boat. 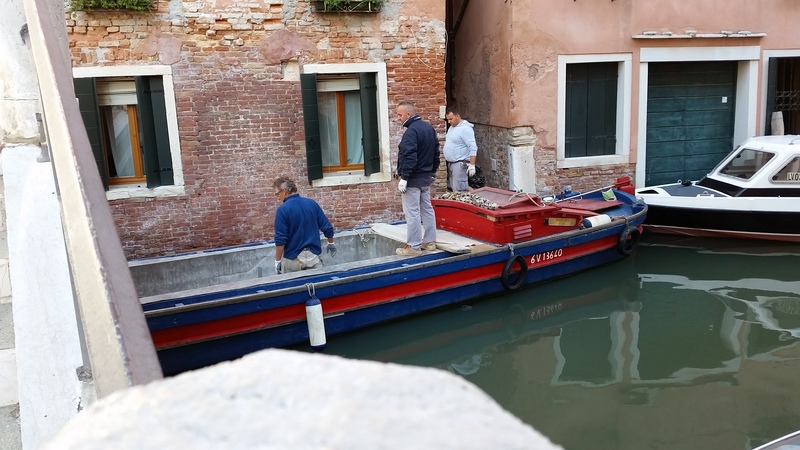 Also remember, that the boats travelling along the canals, are not very large. 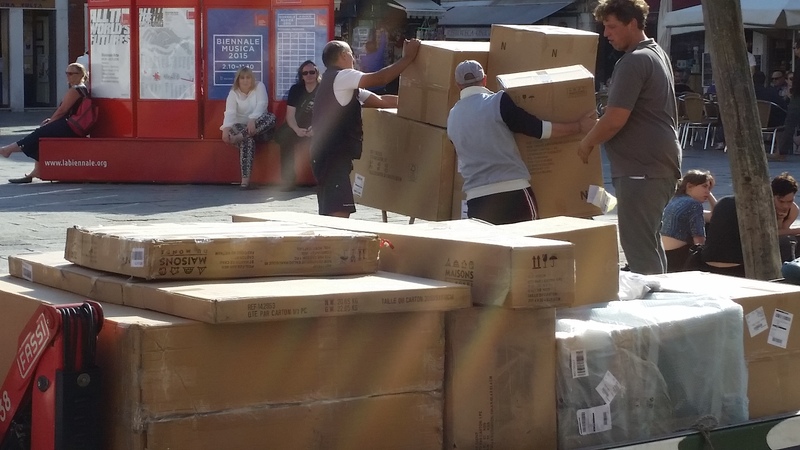 I cannot imagine how long it must take to say, move into an apartment with all of your furniture and belongings. I’m sure it is quite an exercise to coordinate it all. 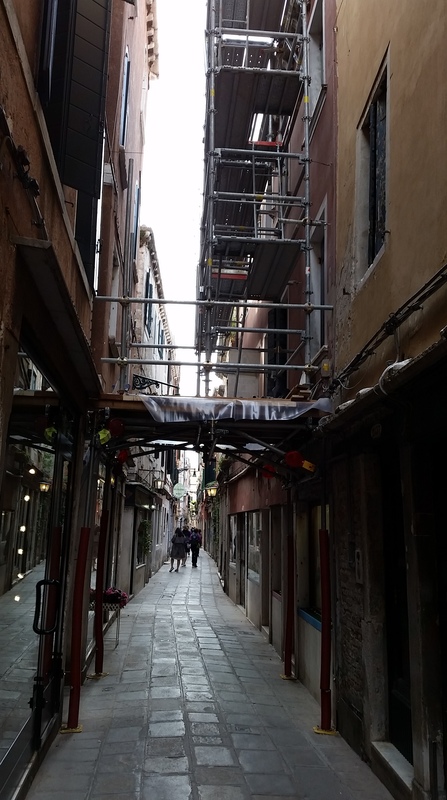 I watched these guys in the first picture, unload, and carry to where they’d be working, all of the pieces to construct the scaffolding you see in the second picture. 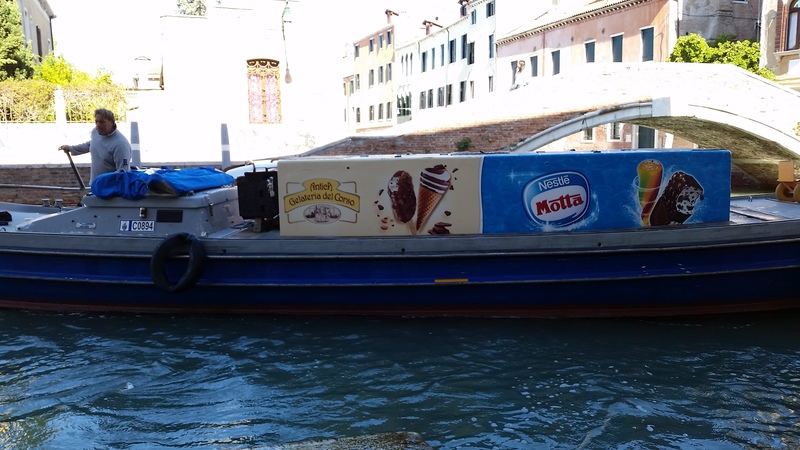 Italy’s version of the Good Humor Truck? 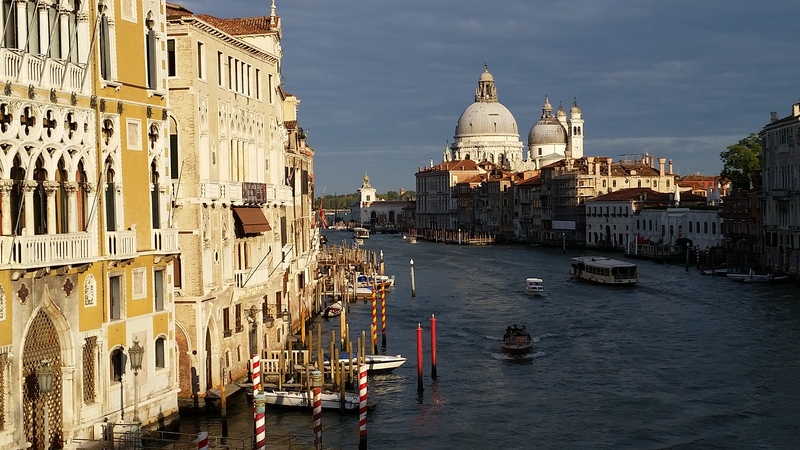 Your photos of Santa Maria are gorgeous. 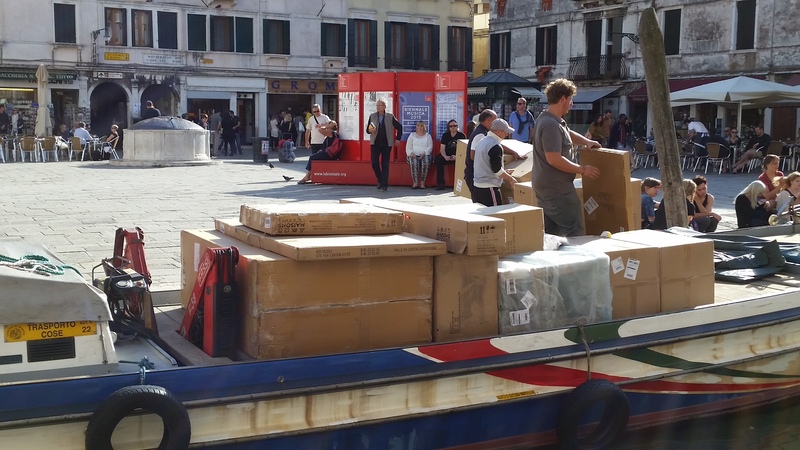 I loved your sequence of goods transport boats too. 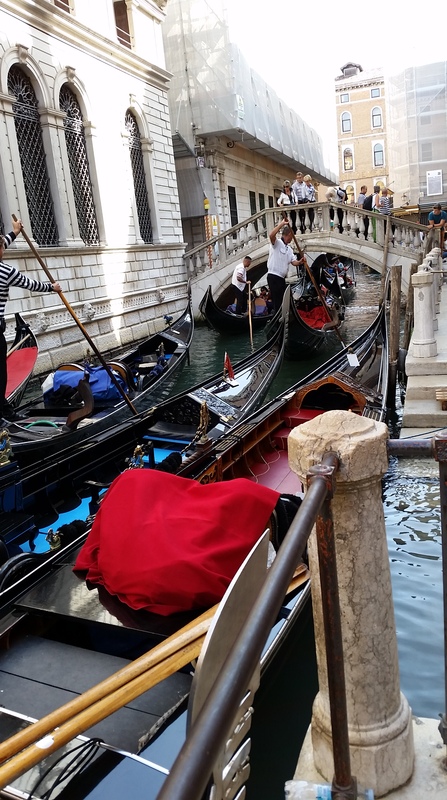 BTW, getting in and out of a gondola was iffy for me even in my fit and thinner days! 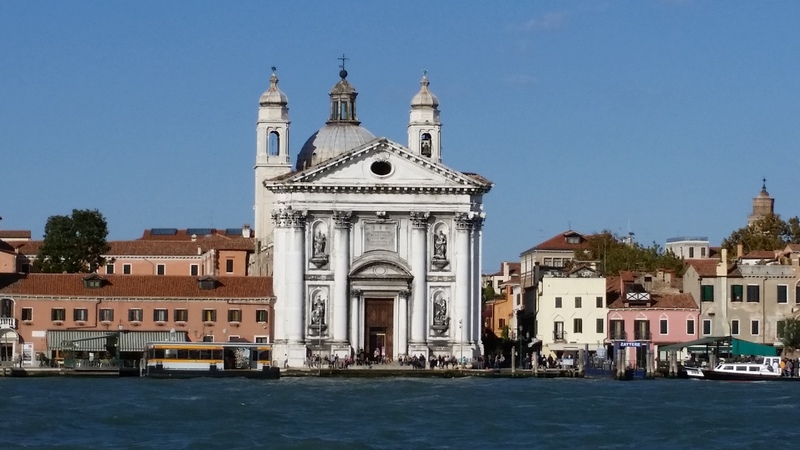 I think you hit the nail on the head with Venetians are used to it. Your blog is wonderful! 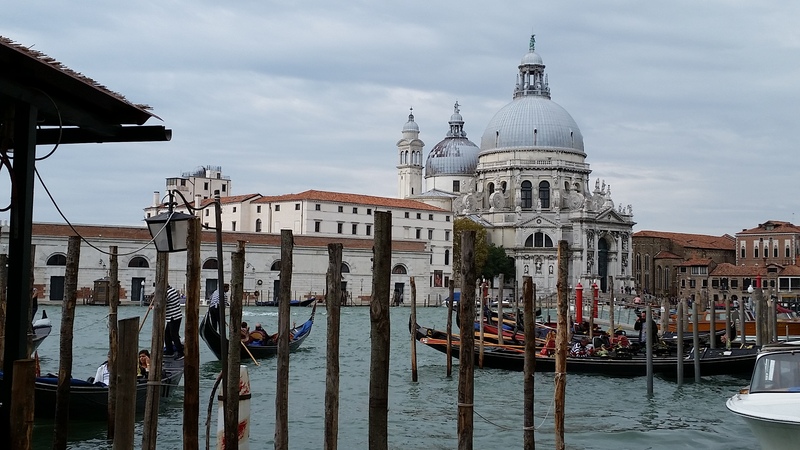 It is the Vaporetto that I was referring to the Venetians being used to – we didn’t see any Traghetti out and about. 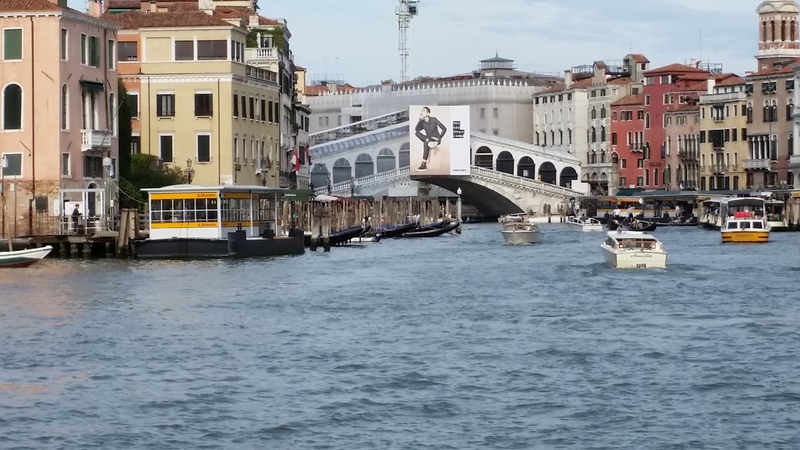 We must not have been in the right place at the right time on the Grand Canal. I am glad you are enjoying my blog, thanks for following Dahling!